Master of Science (MSc) in Administration students at HEC turned in a brilliant performance in the competitions by granting agencies for 2011-2012. All in all, 23 scholarships were awarded to 21 students, for a grand total of $422,500. They were all selected by independent juries of expert researchers, based on the exceptional quality of their university work focusing on social, economic and cultural issues. How do teens’ backgrounds influence their brand preferences? 1. 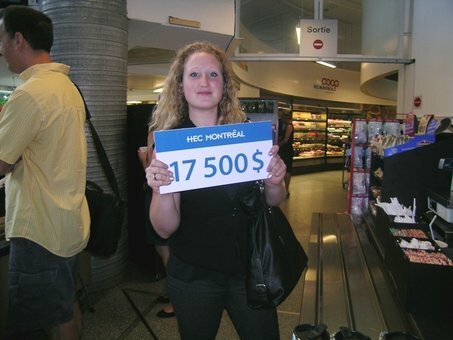 Mélisende Brazeau was a HEC Montréal student when she applied for her grant, and is now pursuing her Master’s degree at the University of Lund, in Sweden.